We've had some exciting things happening! By God's grace we were able to SEND our dossier to Haiti with a friend who is also adopting from the same orphanage. It was entered into IBESR (Haitian social services) a week ago. 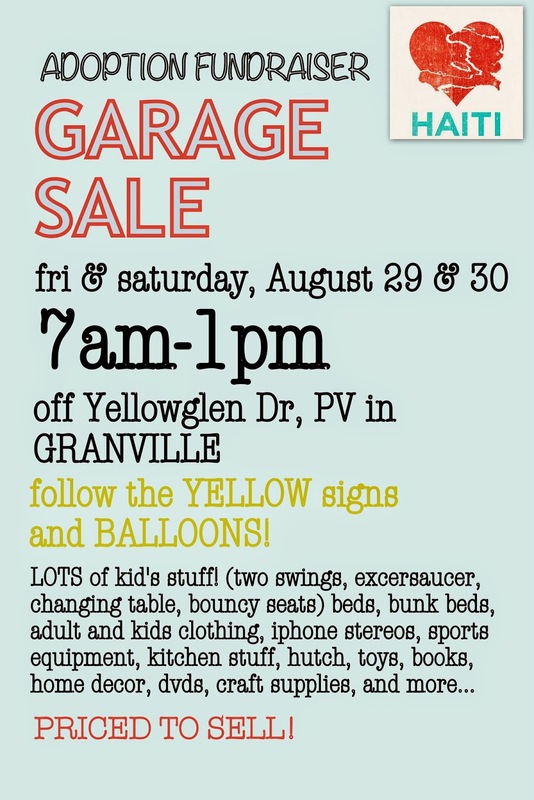 Please keep praying with us for the little one we believe God has for us as well as the GARAGE SALE this weekend!